Saturday morning, The Horizon Church women’s ministry made gift bags to bring into 30 of Jaco’s businesses. Each woman arrived with baked goods in hand and a smile on their faces, prepared for the day ahead. Romancing the city the way God romances us. As interns, Ashley and Kyle worked on this project and I joined in once I arrived in Jaco. For us, we created pages on JacoBeachInfo.com of each business. Whether a restaurant, souvenir shop, or surf shop, each page contained photos and a description. This job was centered on appreciating the business while promoting them to tourists. The past week we worked to fully complete 30 of the 500+ businesses. 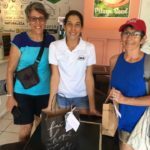 As the women joined us Saturday, the bags were filled with baked goods and a bible verse specifically for that business along with a link to their personal page. Our hope was that the owners and employees would feel loved as we went into their businesses, thanking them for what they do while offering prayer over them. I was teamed up with the other intern, Ashley, and Sarah Barrett. We took our five gift bags and set off into downtown Jacó. I thought it was just a coincidence that I was in the same group as Sarah but as Ashley and I debriefed later that day, we talked about what a blessing it was. We saw first hand the heart Sarah has for the Lord and for the people of Jacó. To her, it wasn’t just a list to check off after visiting each place. Each business had individuals that Sarah knew and was praying for. Our last stop was a tiny air conditioned restaurant with an even tinier kitchen boxed in the back (with no a/c). We found the owner, she was working tirelessly with her son cooking. We thought it was going to be a fairly quick exchange; however, when Sarah told her that we wanted to pray for them , the women said “Come in come in, shut the door, there is always time for God.” That line stuck with me. This women was in the middle of serving the lunch hour rush on a Saturday and yet she stopped, taking a moment to pray with us. I had the ability to see the fruit in what we were doing. 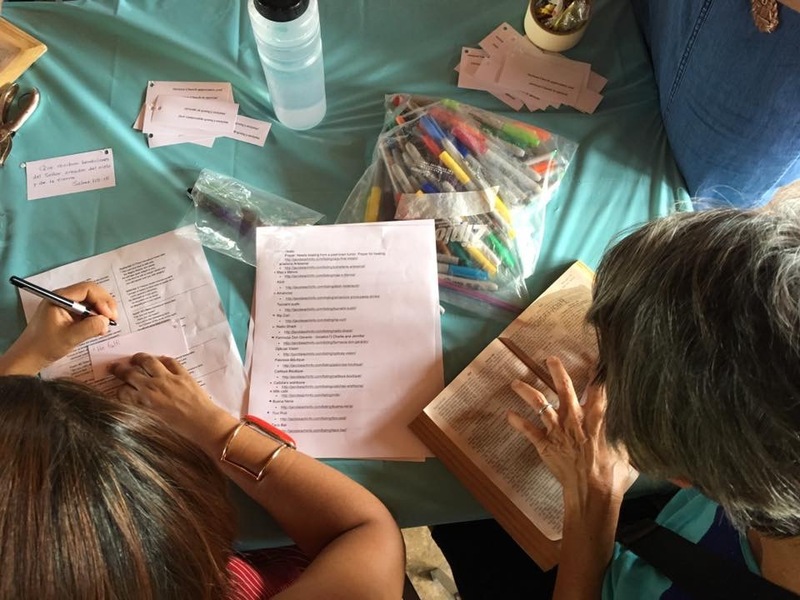 Earlier that week I struggled with being so task-oriented: “finish the 30 pages, add the photos, is there a description?” That I lost sight of what we were doing; going into businesses and building relationships through love and prayer. Now as we work to finish each page for every business, I am excited to see the fruit of our labor once again. or if you would like to know more about Oceans Edge ministries click here for more information.